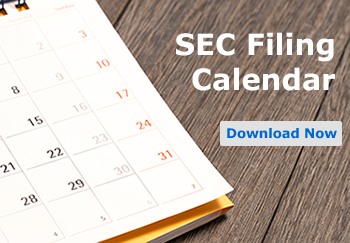 Before submitting an SEC filing, filers must register with the SEC through a Form ID filing. The Form ID filing allows filers to obtain SEC filer access codes, and subsequently, submit filings onto the SEC's site and access other online tools and secure SEC websites. Central Index Key (CIK): The CIK code (10 digits) uniquely identifies each filer and filing agent. Filers are assigned the code at the time of the initial Form ID filing to the SEC. This CIK code is displayed on the SEC's website for the public to view. CIK Confirmation Code (CCC): The CCC (8 characters) code is used in the submission of your filings with your CIK to ensure that you authorized to submit the filing. Password (PW): The password allows filers to submit filings, login to the SEC's website, and change the CCC code. Password Modification Authorization Code (PMAC): The PMAC code allows you to change your password. The SEC launched the SEC Filer Management website on April 26, 2004, to allow filers to electronically create and submit Form ID filings. If you already have codes, you may want to have them re-generated as passwords expire every year. This may also be done through visiting the EDGAR Filer Management website. Colonial can submit your Form ID application for only $50. First, an officer of the company should complete and notarize the Form ID. If this is not possible, send us the company's full name, contact information, fiscal year date, TIN, and a notary acknowledgment. After sending your documents to edgar@colonialstock.com, we will file the Form ID to the SEC. The SEC's normal turnaround times are 1-2 business days for Form IDs. If urgent, we can rush the process for you at no additional cost, which may allow for same day processing. Contact a sales representative to learn more about our EDGAR filing services at 877-285-8605.